I’ve been collecting lots of feathers since working at the sanctuary. When I first started there I knew I wanted to do something with them, no clue what, but something. I figured a wreath would be cool. A circle covered in feathers. Nothing I cant handle. After about a month, the feather collection was getting big. Lots of sizes, a few different colors. Time to do something. Pinterest to the rescue! Up first, the flowers. Lots & lots & lots of tutorials on Pinterest. The rosettes are simple. 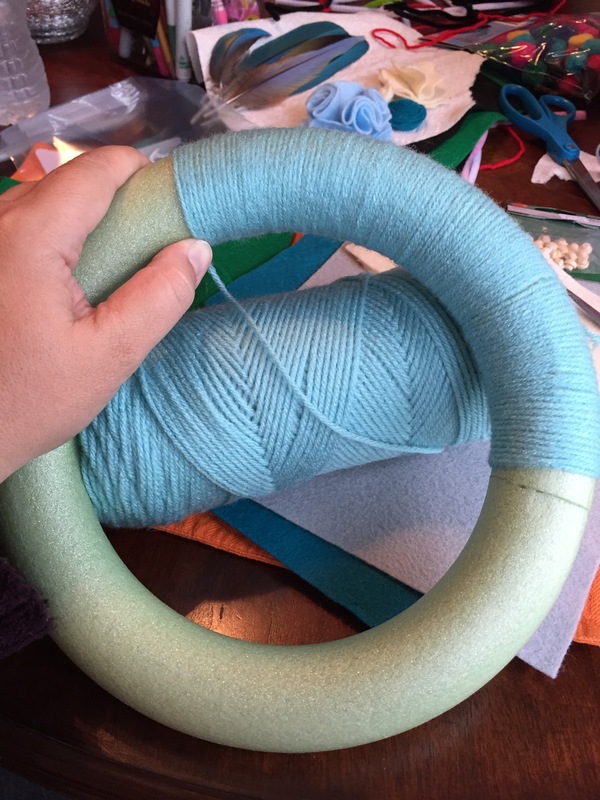 Cut a circle (my scissors were useless, so i ended up using haircutting scissors that are now probably wrecked after a day of cutting felt) and cut a spiral into the circle all the way around. Start from what was the middle, and curl into itself blobbing with glue along the way. I experimented with different cuts, shapes, fringe, etc. 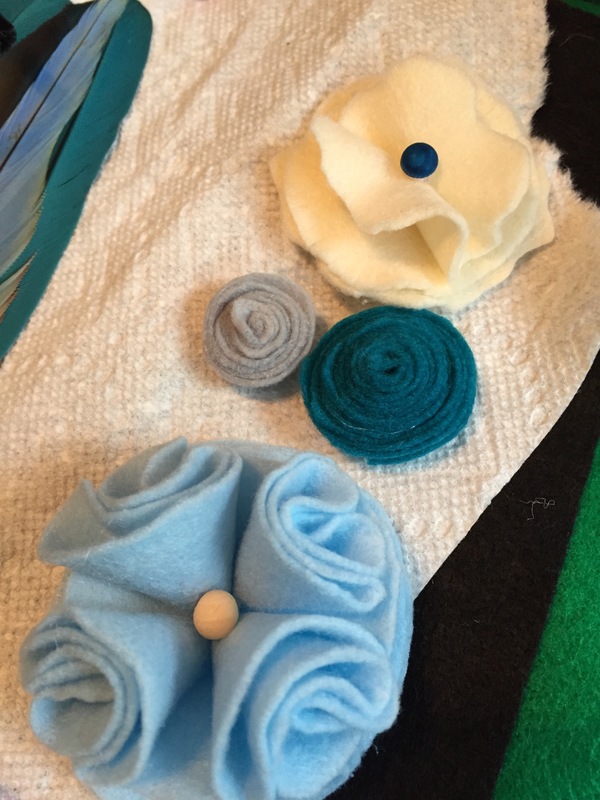 For the non-rosette flower, go on Pinterest. Super simple. Great starter flower. Next: wrap…& wrap & wrap & wrap & wrap & wrap & wrap. See the mess i’ve made? Momma totally took over the dining room table all day. Then you get to position/place/test/glue down the embelishments. Finish it all off with whatever you like. 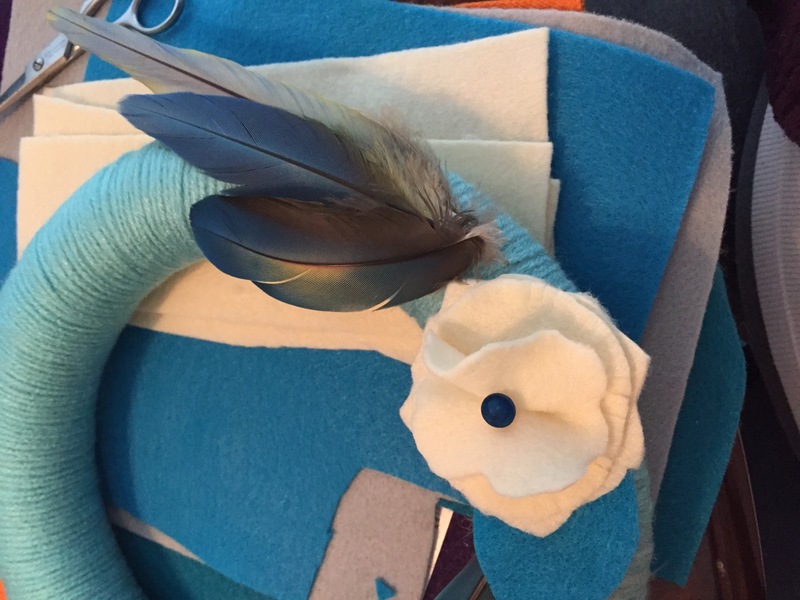 I cut out leaves to cover the base of the trimmed feathers. All the feathers came from the floors of all the buildings at the bird sanctuary. None were being used by the birds when I collected them, despite all the naked bellies you see! 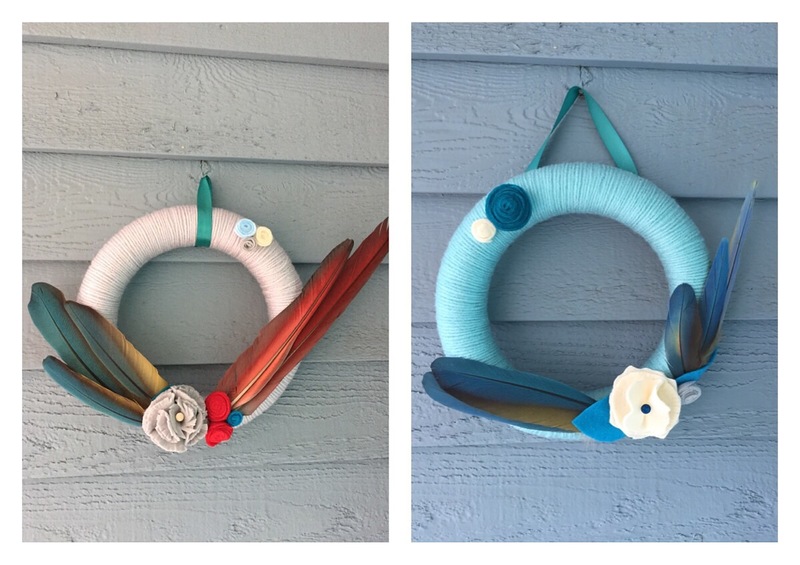 I made 2 wreaths today. Both circles were bought at the Dollar Store so they are pretty small. I didnt want to go all in on my first try, so these were Jr Wreaths.